As a part of today’s Ohio Blogging Association’s Cleveland November Blog Swap, I’d like to introduce you to CLEgal from Why CLE? –the blog that answers this question happily and wholeheartedly. 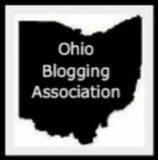 Today bloggers from around the Northeast Ohio area are guest posting on each other’s blogs as a way to spread the word about our blogging community, and introduce our readers to other bloggers they may enjoy. For a full listing of blog swap participants, please visit Poise in Parma today. 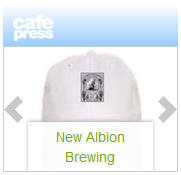 We Clevelanders love our craft beer, which is no doubt why you’re here on The Brewers Daughter’s awesome site. 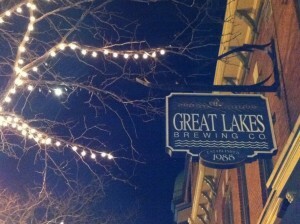 In September 1988, the first microbrewery in Ohio opened right here in Cleveland: Great Lakes Brewing Co. Since that time, Great Lakes Brewing has expanded into a booming brewery, which produces 100,000 barrels annually and is sold in 12 states (plus Washington, D.C.). Most locals have a favorite GLBC beer. When I tweeted the question of “What’s your favorite GLBC beer,” I got responses ranging from Christmas Ale (which I think pulled ahead in voting seasonally) to Lake Erie Monster, to Oktoberfest, to Dortmunder. It’s not so much the history of the brewery that I find amazing though, it’s the history behind the names of the beers. From Cleveland and across the country, GLBC is spreading the city’s unique and complex history with every bottle and draft poured. So the next time you sip a GLBC beer, just remember that you’re sharing a piece of Cleveland history…and history never tasted so good! 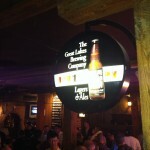 Tagged as: Great Lakes Brewing Company, history of Cleveland, Why CLE? Whenever my husband drinks the Edmund Fitzgerald Porter, he sings the song – until the beer is done. Let’s just say I steer him towards other options whenever possible!! awesome post! Did you know GLBC has events dedicated to teaching GLBC drinkers what their beer’s names are all about? I definitely need to check one of those events out sometime. It’s so neat to know what the beers are named after. And, for the record, Christmas Ale takes the cake on my favorite GLBC beer list. I am going to save up so I have some for our wedding next July! Love the history! (as I’m as much a history geek as I am a wine geek) The Eliot Ness is one of my favorite beers. A very cool post, indeed. Previous post: Hey, Cleveland Sports Fans!